The Ag Institute Australia (AIA) is offering its members and those working in agriculture the opportunity to achieve an industry-first Chartered Agriculturist (CAg) status by undertaking a new accreditation scheme. Launched in November, the CAg scheme now sits above the Certified Professional in Agriculture (CPAg) system, which AIA will continue to administer. AIA chair Dr Turlough Guerin says a meeting coordinated by AIA in April 2017, which assembled representatives from government and organisations including Crop Consultants Australia and Soil Science Australia, brought the need for the chartered scheme to light. “As professionals, we realised the associations we were affiliated with were all struggling with the same thing, and that was to come up with an accreditation scheme,” Dr Guerin says. “We all realise we need to lift our standing by being chartered, and not just certified, professionals. Dr Guerin says the Royal Commission into Misconduct in the Banking, Superannuation and Financial Services Industry is giving AIA a reason to act. The chartered scheme requires applicants to have a CPAg or equivalent from a professional association, and a minimum requirement of a master’s degree in agriculture or equivalent. It also offers a pathway to accreditation for professionals without postgraduate qualifications. Successful applicants will have to demonstrate their achievements in six standards of professionalism and pass the requirements of an ethics exam, as well as be able to demonstrate their ability for reflective learning. Initial certification will entail an application fee, an annual registration fee and ongoing professional development in subsequent years to maintain the chartered qualification. Dr Guerin says professional indemnity will not be covered by the scheme, largely due to the diversity of work carried out by those working in and around agriculture. He says professionals interfacing with agriculture through fields such as accountancy, information technology, safety and human resources could also apply for chartered accreditation. “It’s really about providing assurance and comfort to clients that you’ve got the cognitive ability and the grit to tackle problems. AIA was founded in the 1930s at the University of Sydney and today has about 1000 members, including academics, consultants, advisers, and small and medium-sized enterprises. 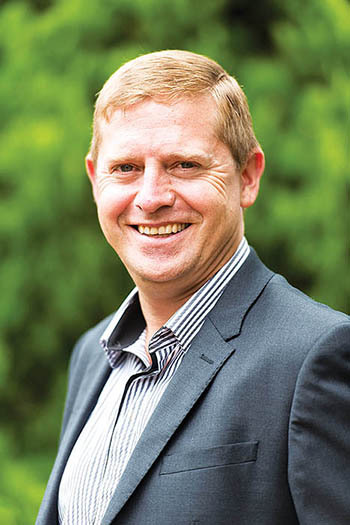 Prohort Management consultant Paul Geurtsen, based in Wagga Wagga, NSW, has been an AIA member since 2000, and specialises in irrigation-based industries. “What the royal commission brought up for banking and finance could relate to any sector with links to private or large-scale investment, and my take is there is an ongoing need for a higher recognition of professionalism in agriculture because of this,” Mr Geurtsen says. He says agriculture’s interface with water and energy use are among the areas that are becoming increasingly complex, and ongoing professional development as required under the chartered scheme will help ensure members are abreast with changing thinking and practices. Read this article on page 7 of GC Supplement issue 138 January - February 2019 - Subscribe and recieve the hard copy of GroundCover in your mailbox for free, remember to select 'Post' as your subscription method.